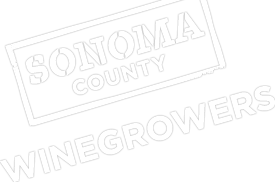 The Sonoma County Winegrowers (SCW) are excited to announce their 2013/2014 Commissioners, including the election of 4th generation winegrower Brad Petersen of Fall Creek Vineyards & Rawah Vineyards as new Chairman. In addition to Petersen, the SCW elected Kevin Barr of Redwood Empire Vineyard Management as Vice Chairman, and Richard Mounts of Mounts Vineyard as Treasurer. The SCW also welcomes Glenn Proctor of Puccioni Ranch and Partner at Ciatti Company as a new Commissioner. The 2013/2014 Sonoma County Winegrowers Commissioners include Brad Petersen (Chairman), Kevin Barr (Vice Chairman), Richard Mounts (Treasurer), Duff Bevill (Founding Chair), John Balletto (Past Chairman), Steve Sangiacomo (Past Chairman), Joe Dutton, Mark Houser, Pete Opatz, Glenn Proctor, and Rhonda Smith. Commission Alternates include Joe Battaglini, Domenic Carinalli, Anna Darden, Charles Karren, Doug McIlroy, Vicki Michalczyk (Past Treasurer), Vickie Mulas, Mark Pasternak, Dan Rotlisberger, and Brent Young.